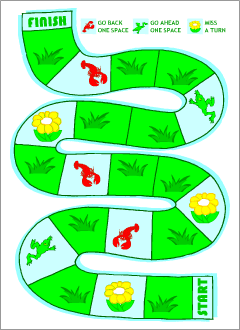 This is a board game with cards for 2-4 players (or teams) to learn and practise English prepositions of place and there is / there are. When you land on a square with the flower, you take a card from the top of the pile. 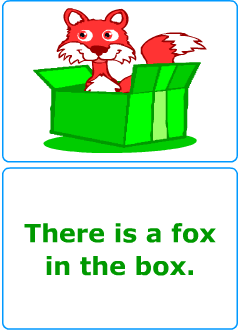 Look at the picture clue, then say, for example: There is a fox in the box. 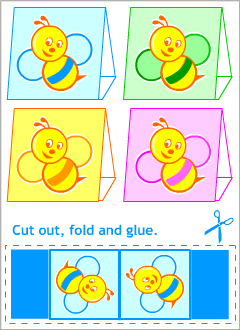 Double-sided cards to play different language games.